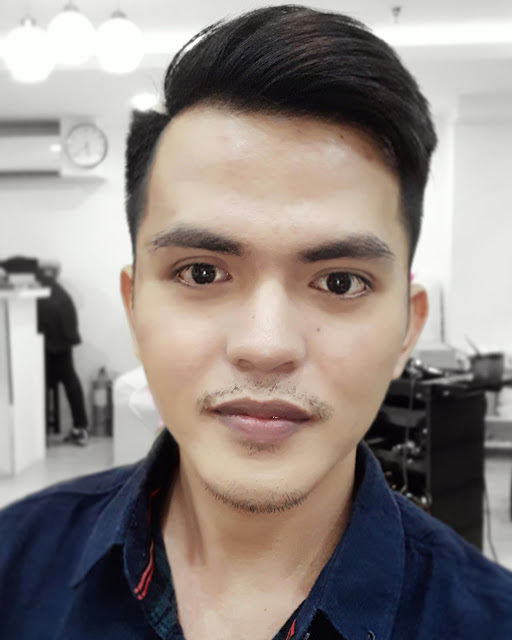 You rarely see me with a colored hair, in fact, I am satisfied with just a simple hairstyle made by my favorite barber shop near my area. 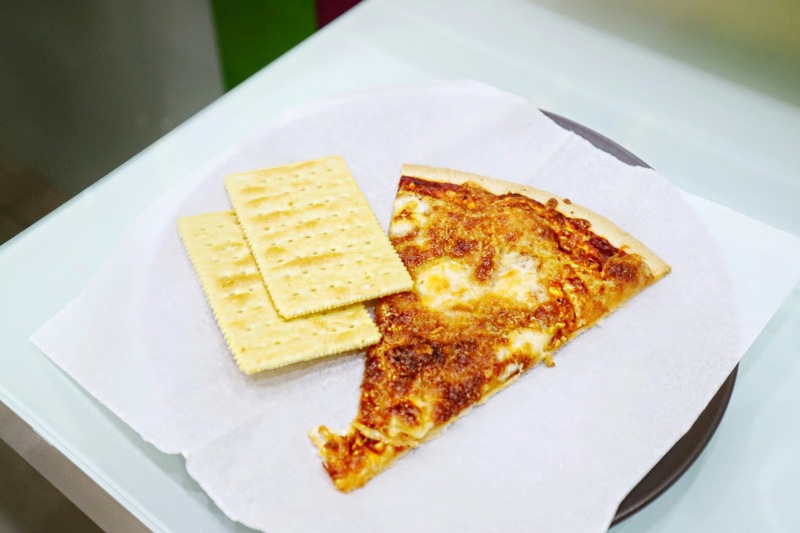 I am just a simple man as you guys know because I love everything that is simple and sweet like me haha. 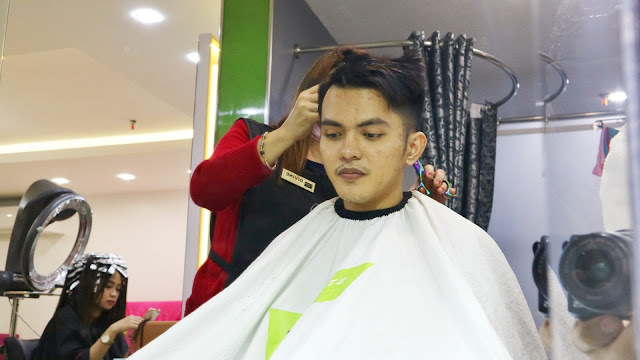 Having that said, I rarely go to hair salons not unless they invited me to feature their business here in our humble blog. So yeah! To cut the long intro short (haha! 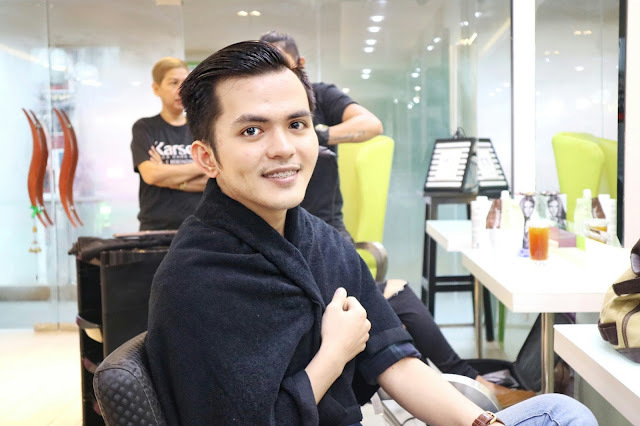 ), I was invited by Status Hair Salon Maginhawa branch to try their services and share my experience to you my awesome #VanityFriends! 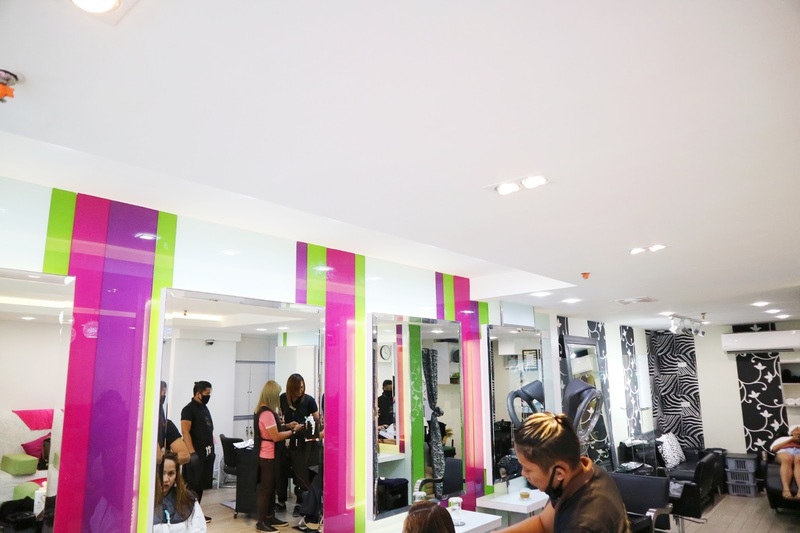 Status Hair Salon came into being when sisters Robina and Roseann Ko set up their first hair care establishment in Robinsons Galleria. Wanting to create their own, unique brand, the two set out to build the salon with a vision of providing services in line with the highest international standards. 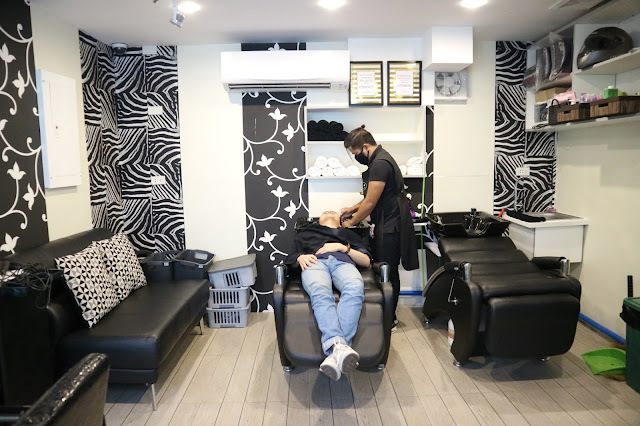 It's a modern salon that caters to a young, hip, trendy, and upwardly mobile market, Status Salon provides one of the widest selection of beauty services for clients who want international quality looks while on a reasonable budget. 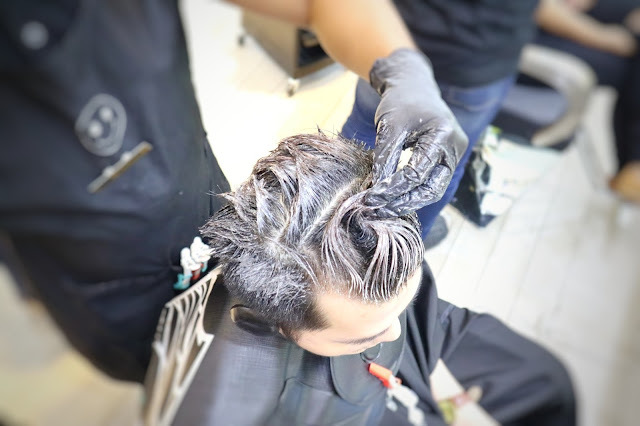 From classic cuts to modern trends, their team of professional-educated internationally-trained service, well providers will work with you to give you the style you’ve always wanted. 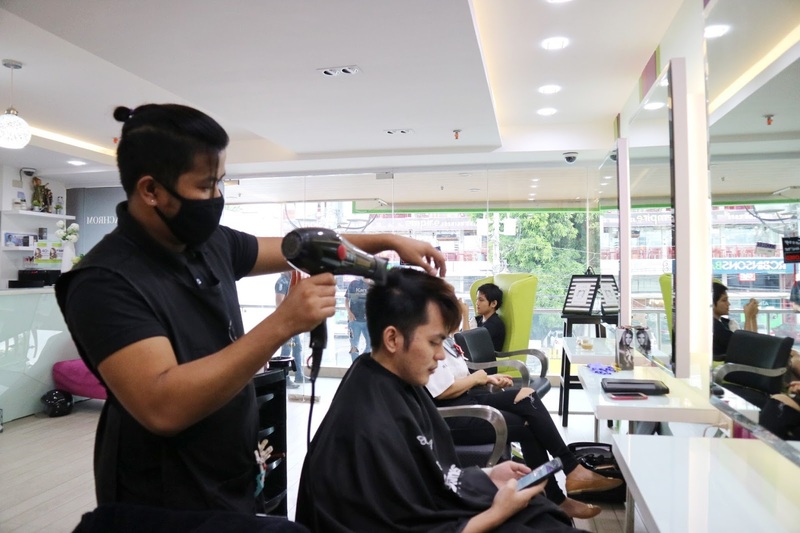 It was raining last August 25, 2017 when me and my v/blogger friends decided to visit the Status Hair Salon in Maginhawa Quezon City because we were all free that time. 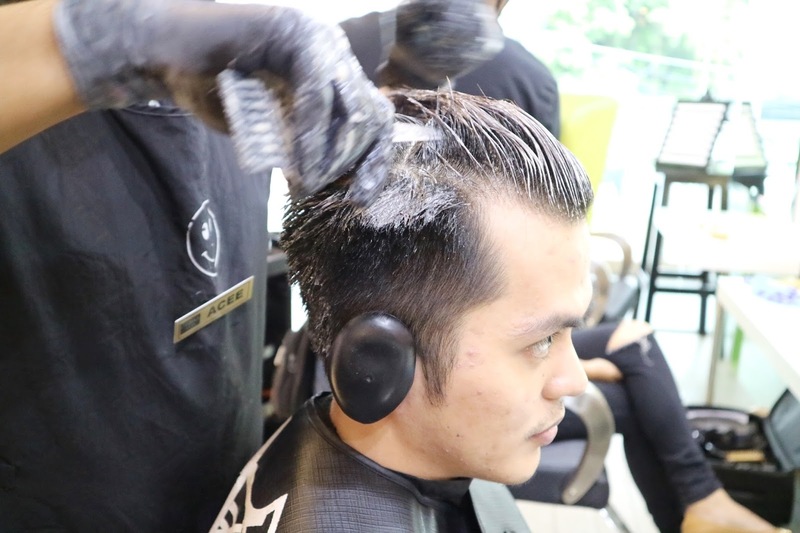 The bad weather can't stop us from pampering ourselves and so do the many clients inside the salon when we arrived. While waiting for our turns, their friendly receptionist offered us some coffee and water to drink, there's also a free WiFi so you won't get bored while waiting or even if you're in the middle of beautification already. Another thing that I like about the Status Hair Salon is their uncrowded area. The interior design is literally wide and clean so we felt really welcomed and refreshed. After just few minutes, their Senior Stylist, Divine called me to do my hair. I asked her to bring back the natural color of my hair because my highlights are no longer my taste haha. She said that the dark brown color will be perfect for my hair so I let her decide because I trust her. After choosing the hair color, Ms. Divine asked her Junior Stylist to wash my hair and blow it dry. After drying my hair, Ms. Divine started putting on the hair color. I like the fragrance of their mixture because it doesn't smell like chemicals. I didn't experience stinging sensation on my scalp too so that's a big plus for me. 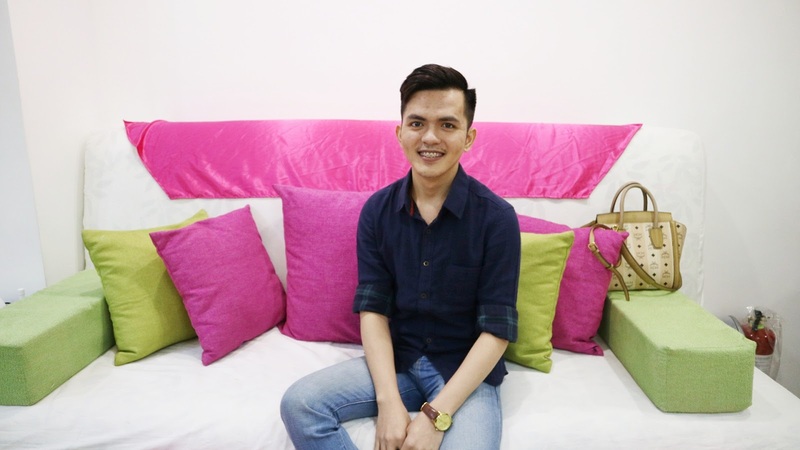 All in all, me and my friends really enjoyed our experience at Status Hair Salon in Maginhawa. I must say that this is one of the best hair salons that I've tried. I like how passionate they are in their professions and the way they treat their customers is extra! Status Hair Salon is definitely a must try salon if you are looking for a great hairstyle or treatment that gives the best value for your money.